Double pane windows are by far the most popular option for both new construction and replacement windows sold today. Double pane offers drastically improved energy efficiency over single pane windows and are really a must have for 95% of all homeowners. Explore the basics, costs and benefits to these modern and efficient windows. Check out top rated Consumer Report windows. Double pane replacement window are constructed from two glass pane set into the same frame with space between them. The space, generally from ½ – ¾” wide, can be filled with air or inert gas, such as argon or krypton. Gas filled panes offer higher energy efficiency that air filled ones. These windows have two to three times the R-value of single pane windows. Double pane replacement window can also have muntins, or dividers, within the space between the panes that make it look like the glass is made up of smaller panes of glass. Frames can be constructed from wood, vinyl, PVC, fiberglass, metal or aluminum, although the most popular option for double pane replacement window is vinyl. As with many other products, the cost of double pane replacement windows will vary greatly based on such factors as size, manufacturer, the type of frame (wood, vinyl, aluminum, etc), the thickness of the glass, and whether the windows include added features such as coatings or gas fills. As a very general average, you can expect to pay about $500 – $850 per window for a decent to exceptional quality window. Although when you multiply that per window price by the number of windows in your home it can add up quickly, keep in mind the energy savings the replacement windows will cost. Within a few years, you should be able to recoup a lot of your initial cost outlay. New double pane replacement window will also increase the overall value of your home when it’s time to sell. Double pane windows will reduce your energy consumption because they offer greater energy efficiency than single pane windows. 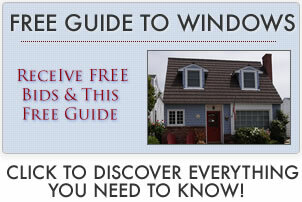 Different windows and window features will determine how much energy your new windows truly save. Saving energy means saving money. Again, your monetary savings will depend on how efficient your new double pane replacement windows truly are, as well as how inefficient your old windows were. If you have double pane windows with false muntins set between the panes of glass, it makes the windows much easier to clean than a single window with exterior muntins. Although just about any double paned replacement window will provide better insulation, reduced energy usage and increased noise-proofing (in comparison to single pane windows) this is one case where quality does matter. If you are going to spend the money to replace the windows in your home, it is worth spending a little more to ensure that you choose windows with quality manufacturing, tight seals and well-made frames. There are also many added features that will improve your windows’ energy efficiency even more, such as gas fills, UV coatings and low-E glass, among others. The type of coatings used on windows should vary based on the climate. For homes in warm climates, coatings should allow as much solar energy as possible to penetrate through the windows, heating up the home and thus reducing heating bills. In warmer climates, coatings should be added to reflect or block out solar rays that warm the home, while still maximizing light infiltration, so that air conditioning bills remain in check. Selective spectrum coatings can allow visible light transmittance while reducing the solar heat gain – this is another good option in warm climates.